Welcome back to day 2 of my first Digital Dozen week. Today I'm doing another improved design, this time from 5 years ago. 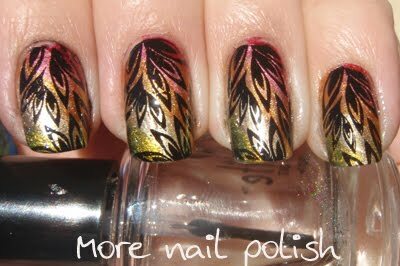 I was so damn proud of this nail art when I originally did it in 2011. 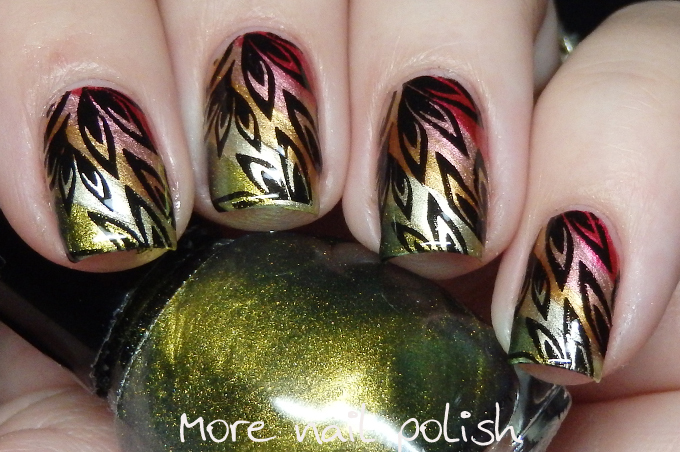 What I'm also proud of is the fact that I listed all the polishes I used in this mani on my original blog post. Without that I would never have remembered which polishes some of these were. 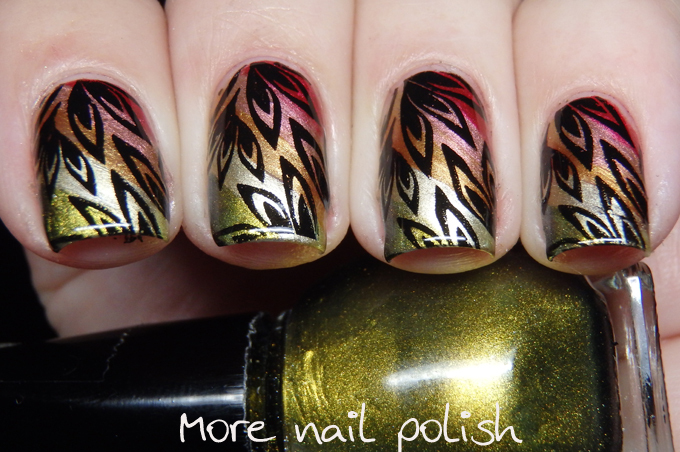 Sad part is, there are some polishes I used in this nail art that I think have been sitting in my helmer since I last did this design. Argh the first world problems of having too much nail polish! But what was with me only posting a single full mani photo back then. Geez, these days I take about 50 photos of each mani and struggle to narrow it down to four! The stamp is from BM210. Here is my original version from 2010. Again, yay for better nail shape, better photos and better clean up. Although my stamping placement was pretty good on this one. 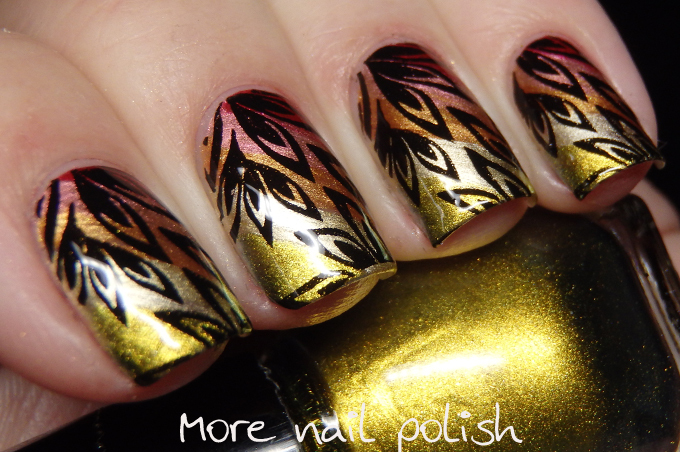 Please check out the other Digital Dozen manis this week. this is gorgeous! love the warm color combo! 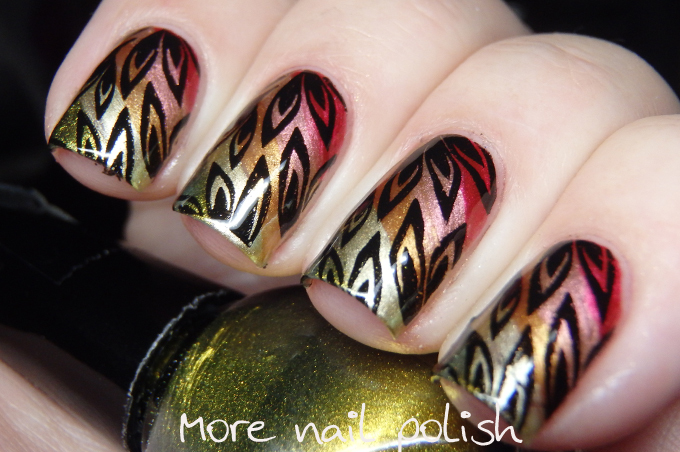 it is truly a beautiful mani, then and now. I love the color combo and the stamp! Stunning! I know how you feel; too many polishes don't get the attention they deserve because we have tooo many! This is beautiful!! The colors work so well together!